Flooring throughout is either quarry or terrazzo tiles, smooth and even. Pie making demonstrations take place to the rear and right of the 2nd section. 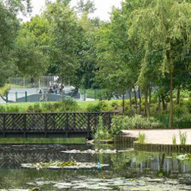 Interpretation boards and leaflet display are also located in this Heritage area. We have a continuously playing DVD highlighting the skills of our bakers and staff and the products they make and sell. 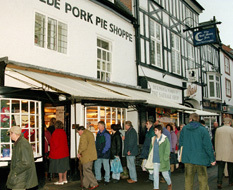 There are no chairs provided within the shop but seating, including the ‘Pork Pie Seat’, is available in the pedestrianised area outside the shop. Monday to Saturday 8am till 5pm. (January & February close at 4pm). Closed Sundays and most Bank Holidays. Click on the pork pie below for the tour! 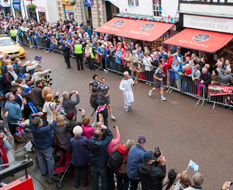 Melton Mowbray has lots to offer and it’s the home of the pork pie and Stilton cheese! 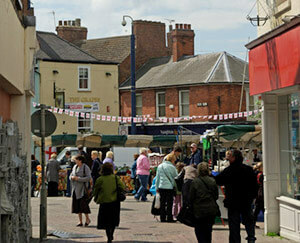 It is the third oldest market town in the country and it still has a range of markets that run through the week. Everything from cattle markets to street markets. 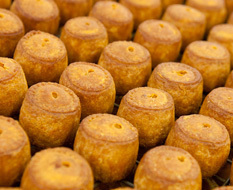 Explore the history and heritage of this town, and find out about how the pork pie came about. Or even better, why not visit us at the Shoppe or book your place on one of our pie-making demonstrations or the Pork Pie Experience. 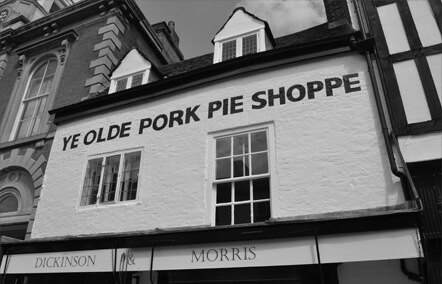 Here at Dickinson & Morris we have been baking pork pies at Ye Olde Pork Pie Shoppe in Melton Mowbray since 1851. 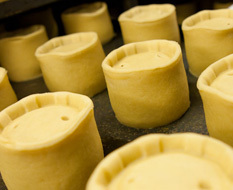 We are now the oldest and only remaining bakery producing authentic Melton Mowbray Pork Pies in the town centre. 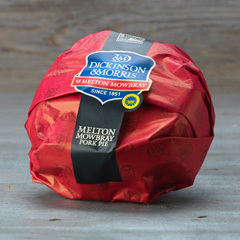 Come and discover the fascinating link between Stilton Cheese, Melton Mowbray and Pork Pies. 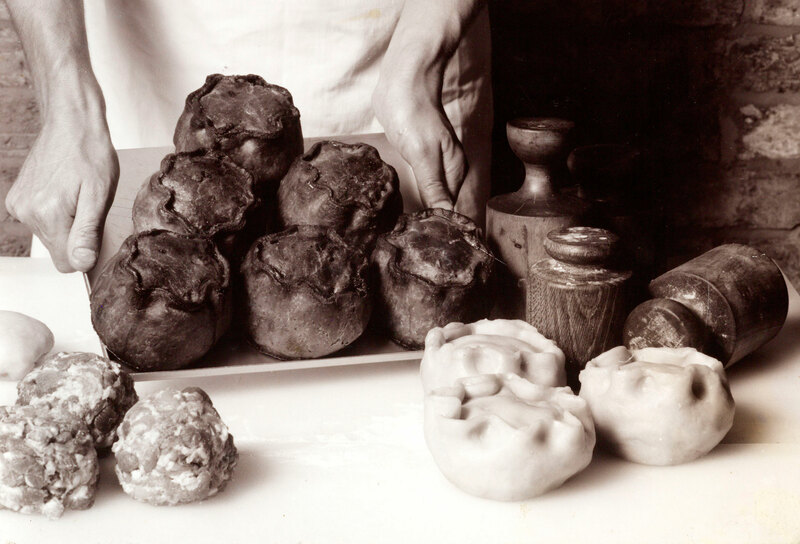 Watch a personal demonstration of ‘hand raising’ a pork pie and discover how Melton Mowbray became so famous for pork pies. Demonstrations last approximately 12-15 minutes do please need to be pre-booked. They can take place any time between 9.30am to 3.00pm, for either a single person or groups of up to 15 people at a time. For larger parties we split the numbers into successive groups of 12-15 people and run the demonstrations every 15 minutes. Samples are of course included and the cost is £2 per person. 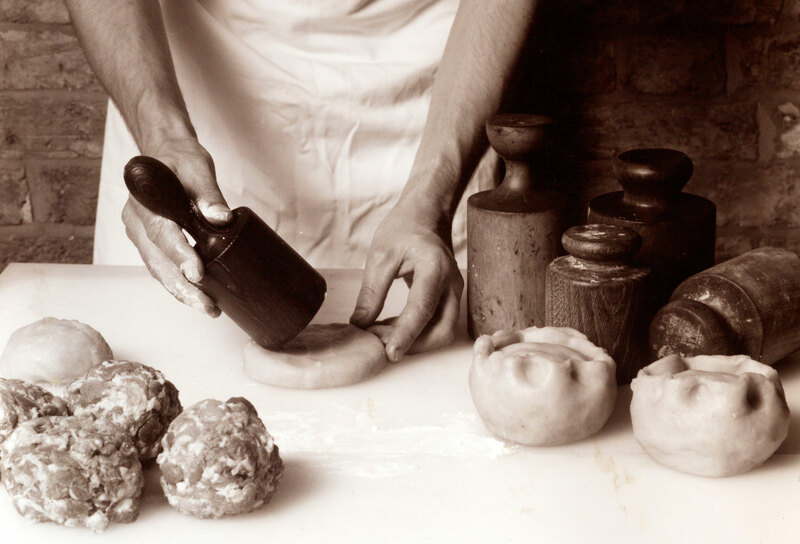 To book a demonstration please preferably ring Ye Olde Pork Pie Shoppe on 01664 562341 or email Pieshoppe@porkpie.co.uk with your preferred date, time and number of people. 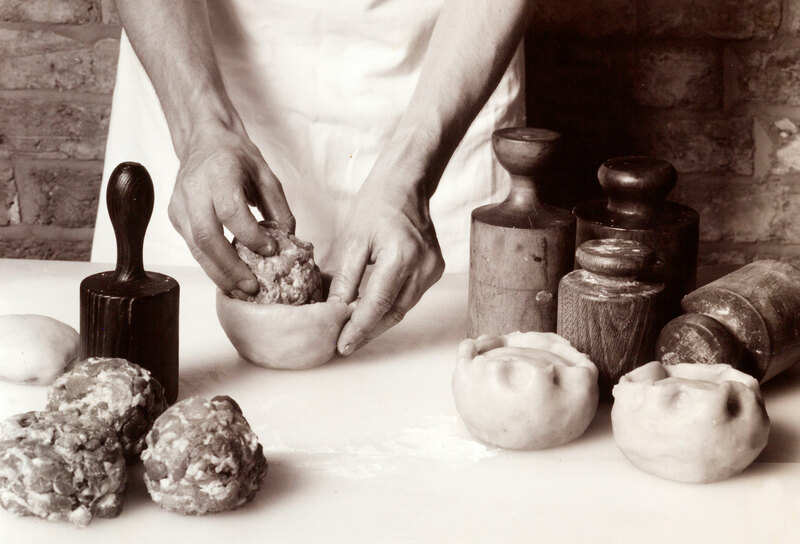 For Groups larger than 18, why not book the Pork Pie Experience - where visitors can hand-raise their own pie under expert tuition from our experienced and knowledgeable bakers. 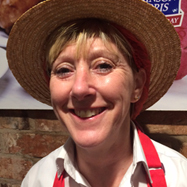 Come along to Ye Olde Pork Pie Shoppe and make your very own Melton Mowbray Pork Pie. 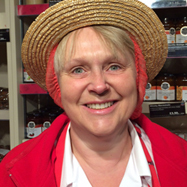 The Pork Pie Experience is designed for Groups of people (minimum 18, maximum 45) to visit our working bakery after Ye Olde Pork Pie Shoppe has closed, at a pre-arranged time, between 5.00pm & 7.00pm. 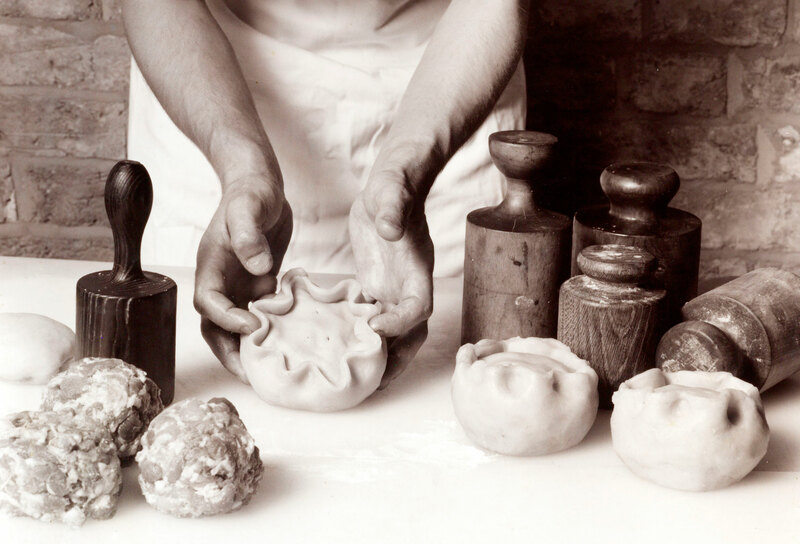 If you'd prefer to visit during the day, why not book one of our pie-making demonstrations instead? The Group is greeted by a member of the Dickinson & Morris team and after removing their coats, hats, etc are duly asked to put on an apron and hat and wash their hands. 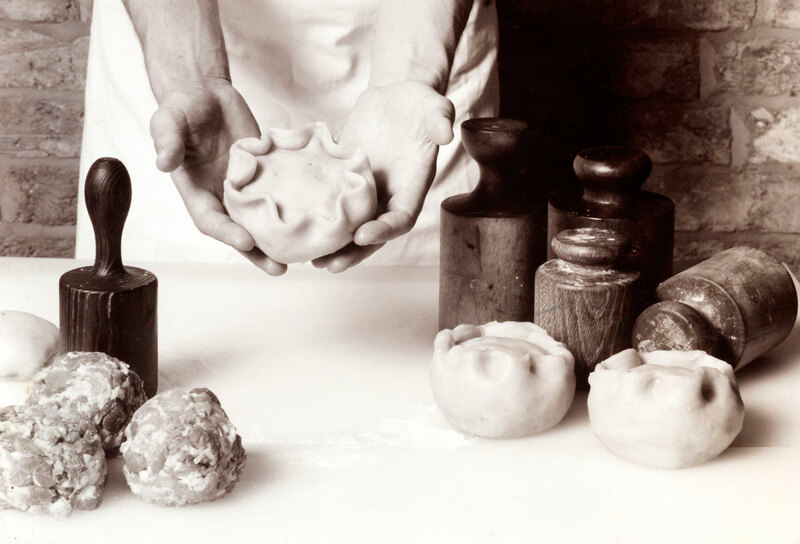 A step by step demonstration of hand raising a Melton Mowbray Pork Pie incorporates the intriguing story of how Melton Mowbray became involved with pork pies and the numerous points that make the authentic Melton Mowbray Pork Pie so unique. Each member of the Group then receives pastry, meat and a dolly and is invited to hand raise their own Pork Pie. Tasting and further discussion allows ample time not only for questions about Pork Pies, Dickinson & Morris, Ye Olde Pork Pie Shoppe and The Sausage Shop but also, if you so wish, to purchase items from the Shoppe. 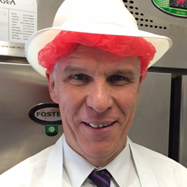 Early the following morning our bakers bake and jelly the Pies which are then ready for collection from 1pm. Each person receives the very same Pork Pie they personally made the previous evening. It is said “The Taste of the Pie is in the Eating” (an old Melton Mowbray Proverb!) and on these occasions nothing is quite as memorable as enjoying a Pork Pie raised by one’s own hands. Anytime after 5.00pm but before 7.00pm - i.e. to suit your travel arrangements. The start time is arranged at the time of booking. NB: as our Pork Pie Experiences take place in the industrial environment of our Bakery, participants must please be aged 16 or over. 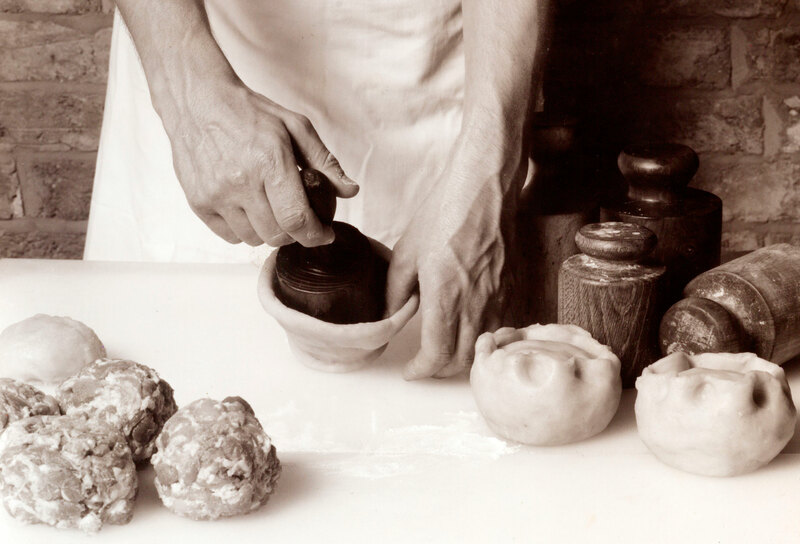 Find out more about some of our bakers and their interests. Click on a team member for more info! 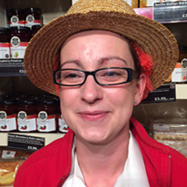 8 years baking experience, Working in the pie shop and Sausage shop. Home cooked Roast beef dinner, followed by sticky toffee pudding. Reading ,Travel, Musical theatre and The Cinema. 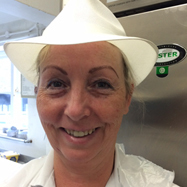 8 years baking experience, Working in the pie shop, shows and occasionally the Sausage shop. Cooking , cinema and socialising. 38 years experience working in retail. 4 years working at Dickinson & Morris. 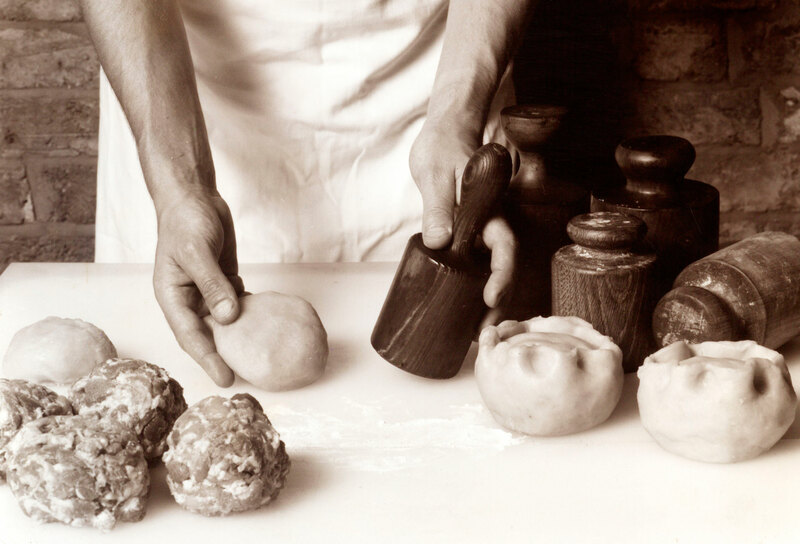 37 years baking experience: Ranging from Sausage making, pastry work, Wedding / Celebration cakes and confectionery. How long have you worked for Dickinson & Morris? I enjoy gardening, and spending most of my free time with my Three Daughters / Husband and 6 beautiful Grandchildren. 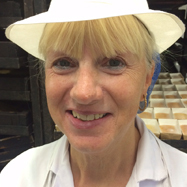 12 years baking experience, Working in the pie shop and Sausage shop. 6 years working at Dickinson & Morris. Visiting Melton Mowbray? 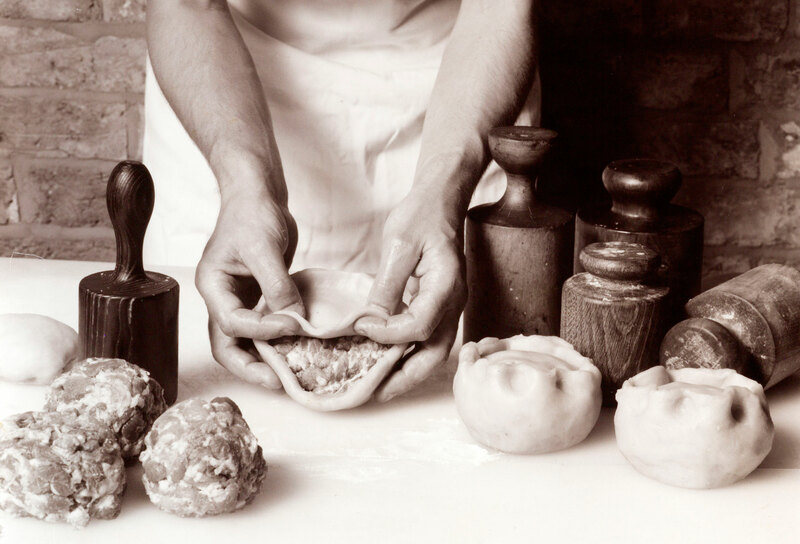 Why not book yourself onto one of our Pie-making Experiences? Hot water pastry is is prepared and left to chill and improve overnight in a fridge. 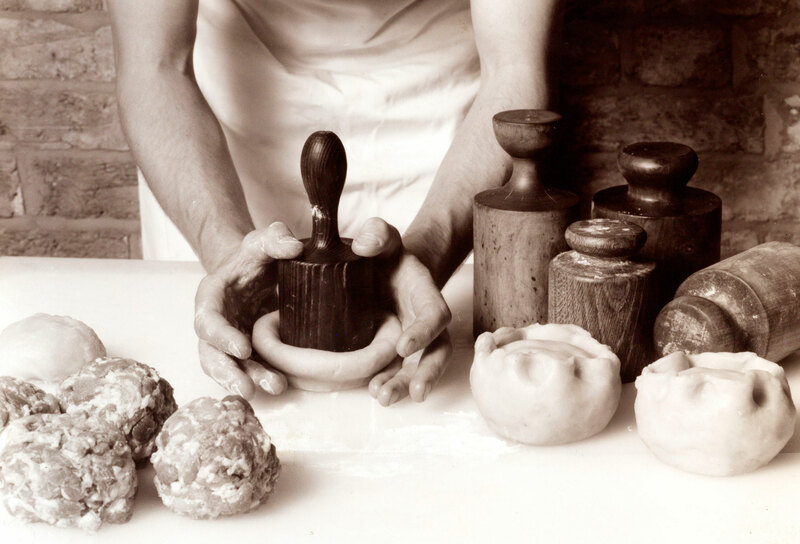 Allow pastry to come to room temperature and temper in your hands to form a round disc. Place the 'dolly' in the centre of the pastry disc. 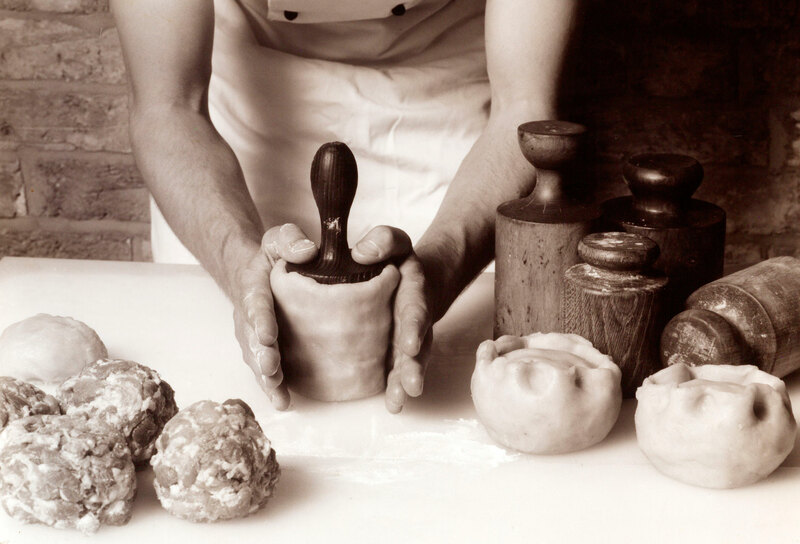 When the pastry reaches the shoulder of the dolly the sides and base of the pastry shell will be of even thickness. Gently remove the pastry from the dolly. 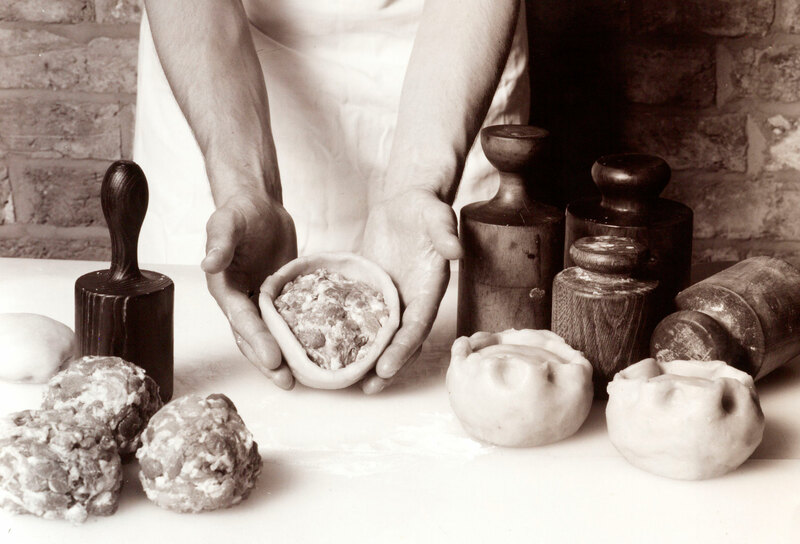 The pastry shell is fairly stable and robust and able to support it's own weight. 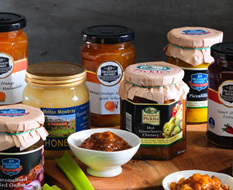 The finest British Pork is coarsely chopped and combined with a secret blend of seasonings. The pork filling is firmly but carefully pressed down into the pastry shell. 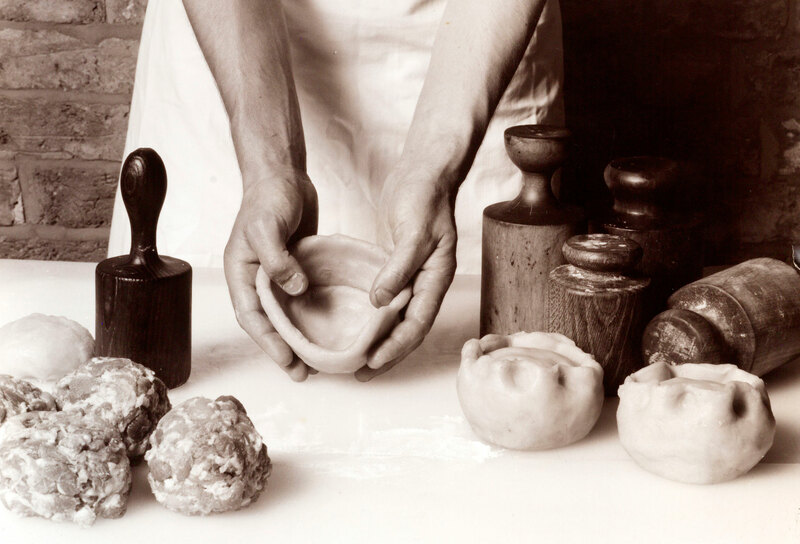 The pastry lid is placed across the top of the pie and carefully pressed to the pastry walls. Glaze the top with egg and bake for approximately 1.5 hours. 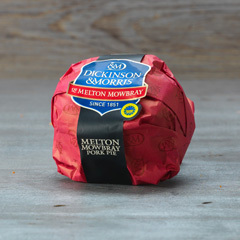 During baking the pie will slightly settle giving the characteristic bow-sided shape of a Melton Mowbray Pork Pie. When the pie has cooled bone stock jelly is added through two holes in the top of the pie. 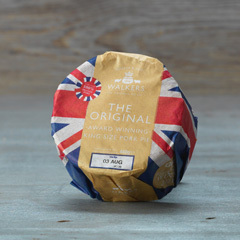 This replaces moisture lost during baking and greatly improves the flavour and eating qualities of the finished Pork Pie. Remember to click on the pork pie for more info! 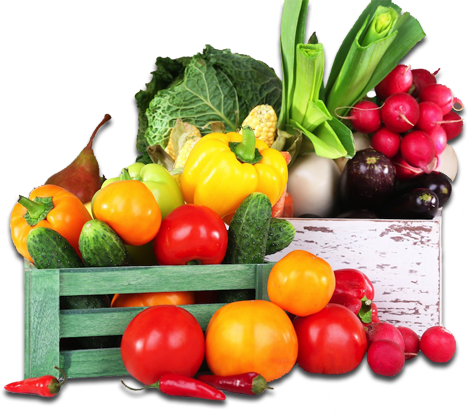 The traditional street market through out the Town centre takes place every Tuesday and Saturday with a smaller market on Wednesday. Tuesday’s are an excellent day to visit as the market also coincides with the vibrant Cattle Market. There has been a cattle market in Melton Mowbray since Saxon Times and it was recorded in the Domesday Book. In 1324 Edward II established Tuesday as market day which has now become an important event not only for business and trade, but as a tourist attraction in its own right. 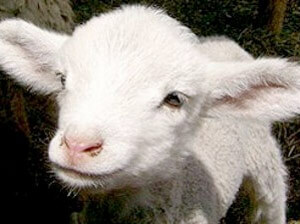 The Tuesday market includes a Livestock Market, Farmer’s Market, Fur & Feather, Antiques & Collectors and Trade Stalls. There are also further sales throughout the year. 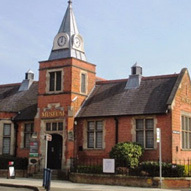 Built in 1905 and officially opened as Melton Carnegie Museum in 1977, by Leicestershire Council. It provides a brilliant insight into the history of Melton Mowbray. 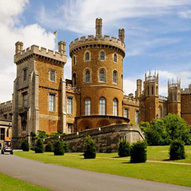 Do you know what connects Fox hunting, Stilton cheese and Pork Pies? Learn all about it here! 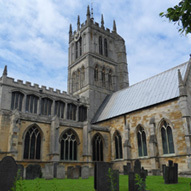 The church is located in the heart of Melton Mowbray and consists of beautifully stained glass windows. It dates back to 1170 and is the size of a cathedral, come and visit us to really appreciate and enjoy this amazing church. 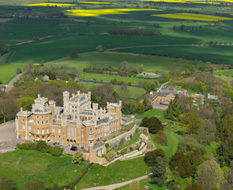 Founded in 1549, the many parks host a variety of events through the year including the famous New Years Day hunt. It has been expanded over the years and accommodates sports events including Saturday and Sunday football matches and is the home of Egerton Cricket Club!